Ranbir Kapoor has finally reacted to the ongoing internet furore over Pakistani actress Mahira Khan's 'backless white dress' and the fact that she was smoking. As per an official statement by Kapoor, the actor had this to say about the entire controversy — "I've gotten to know Mahira in a personal capacity over the last few months. She is somebody who I admire and respect, for her achievements and even more for the person she is. It is very unfair the way she is being judged and spoken about. What is also sad is the inequality in judgment just because she is a woman. I request you to stop the negativity and move on with your beautiful god gifted lives. Peace and love. PS - Both smoking and hate are injurious to health." This statement comes hot on the heels of many other celebrities from the entertainment industry standing in solidarity with Mahira after she was heavily trolled. Earlier, we reported that singer-actor Ali Zafar took to his social media profiles to share an open letter coming out in defense of the actor. 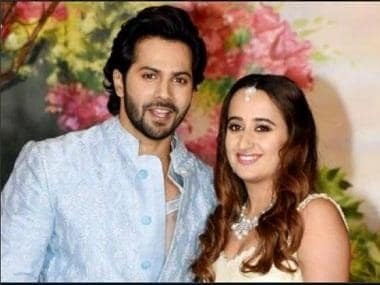 Varun Dhawan said “Shame on them for shaming her," according to an Indian Express report. Parineeti Chopra too spoke up against how unfair the entire situation was. “I’ll just say one line. It’s a little unfair. Everybody knows it’s unfair and it’ll stop. Today, because of social media, everything becomes too big a deal," said Chopra, according to a Hindustan Times report. Ranbir and Mahira were captured smoking together outside an alley in New York City. The picture went viral on Thursday, leading to a lot of diatribe especially against Mahira.